HD stands for high definition, the video of this type will have higher resolution. In this digital era, you can get many electronic devices to capture HD videos, such as digital camcorder, digital cameras, etc. One can capture the quality videos during seminar session, journey, marriage ceremony, etc. and enjoy by playing them on any media player. You can transfer these videos from camera to your computer and keep them forever. When you feel to see the video, then you can play on Windows media player, VLC media player or any other media player. If the video rejected to play on any media player, then it indicates that there is something logically goes wrong in video file. It means the video file is corrupted. Hence, with the help of HD video repair software you can get your things done quickly. To Know about how to repair Video VLC which is corrupted or damaged with the help of this HD video repair software, just refer this link. HD video repair software can fix corrupted or broken video that is refused to play on media player. What the repair means is the software will detect the error in audio and video portions and fixes them to make a perfect playable HD video. 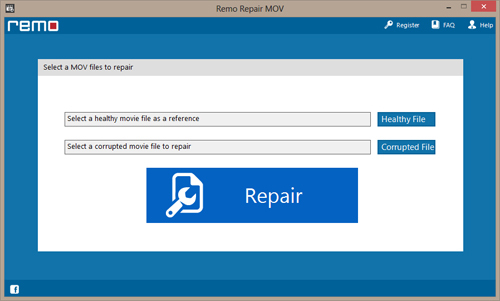 It can repair MOV files that do not play on QuickTime media player. For more information on how to repair QuickTime movie file, one can visit at - http://www.videorepairsoftware.com/how-to-quicktime-movie-file.html. It can fix any type of video file, irrespective of corruption reasons. HD video repair tool can automatically reconstruct the raw video and audio streams, to play it smoothly. Video files may get corrupt due to several scenarios like improper download, video truncation, playing video on corrupted media player, file header corruption, downloading videos from unauthorized websites, etc. These are some possible scenarios where the video file becomes unable to play on any media player. Virus or Malware attack is also very common reason which corrupts any file partially including HD videos. The videos stored on any device may get damage such as mobile phones, digital cameras, computer hard drives, pen drive, flash memory cards, etc. Don’t worry!! The HD video repair utility can fix video errors from all types of storage devices. HD video repair software can fix all types of errors getting while trying to play on media players. You may get errors while playing the video like “unable to find the video”, “the video seems to be corrupted, click OK to repair”, etc. These are signs of video file corruption and the HD video repair tool is needed to overcome from this problem. It allows repairing videos of different formats like AVI, MOV, XviD, DivX, MP4, MPEG, 3GP, WMV, etc. If you are looking to repair MP4 video files, the way to utilize this software is given here - http://www.videorepairsoftware.com/mp4-files.html. The user need not to be much involved in the repair process since the HD video repair utility is fully automated. You just point the corrupted video towards the software and expect the desired result within a couple of minutes. 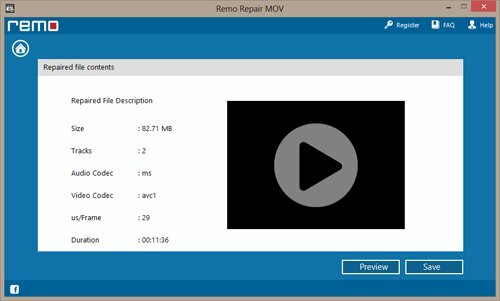 The demo version of HD video repair utility is also provided, which helps the user to experience the video repair process before purchasing the software. The user can view repaired video using preview option. If you have pleased with the repaired video quality, then you can save it by purchasing license key of the software. The HD video repair tool also lets you resume the repair process at any time. If you are looking for video repair software especially to repair XviD file on Mac, then get this software at - http://www.videorepairsoftware.com/xvid-mac.html. Step 1: Install and run HD video repair software on a healthy computer. 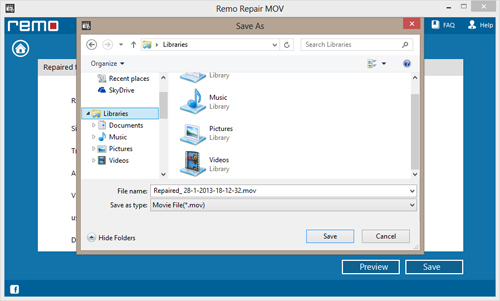 Point the software towards the video needed to repair using “Browse” option and click on “Repair” button as shown in Figure 1. Step 2: Now the software will take a few minutes to detect and fix the video file errors. Once it is completed, you can use “Preview” option to view video before restoration as shown in Figure 2. Step 3: Finally, you can save repaired HD video on desired location using “Save” option as shown in Figure 3.